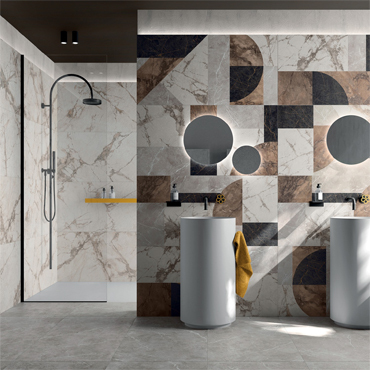 Solignano, 18 May 2018 – At Coverings 2018, the most important ceramic tile exhibition in North America, Ariana has showcased a number of new solutions including the WORN and MINERAL collections based on stylistic and material research aimed at expanding the potential for use of ceramic tile, an increasingly popular material in interior design. Inspired by the vintage leather of Chesterfield sofas, the new WORN collection adds an unusual touch to Ariana’s range of materials. 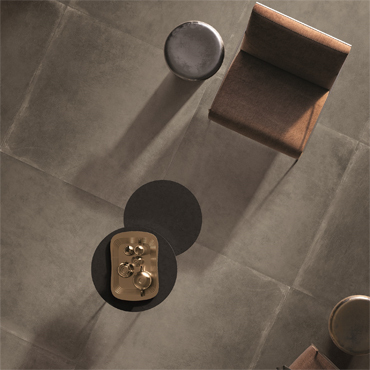 The unique personality and soft, pleasant feel of leather is reproduced in ceramic to create an original and versatile surface. The WORN collection’s four colours soften the boldest shades of leather and recall the industrial tones of contemporary moodboards. The multicolour WORN Remake version offers a decorative solution for floors and walls with a visually striking modern patchwork effect. 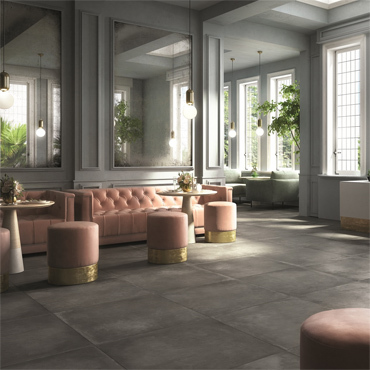 In the elegantly minimalist MINERAL collection, Ariana explores the world of slate, maintaining the strength and consistency of the original stone while using three-dimensional effects to simulate the material’s natural unevenness on the otherwise smooth ceramic surface. Ideal for complex projects in both residential and commercial settings, the MINERAL collection comes in a range of sizes from 120x240 cm down to the smallest 10x30 cm “brick” size, ideal for any application including outdoor locations.